 At Veterinary Center of Morris County we offer a variety of services to care for your pet. 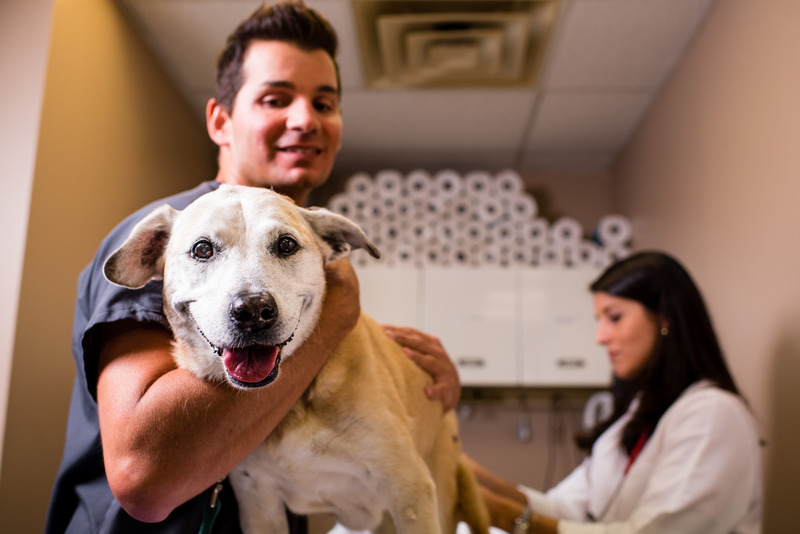 We believe that regular checkups and wellness exams are critical to your pet's wellbeing. These wellness exams give us a chance to evaluate the overall health of your pet while also giving us a baseline for their own unique bodies and tendencies. Not only do these exams keep us up-to-date with your pet's health, they also allow us to detect potential problems before they become serious. 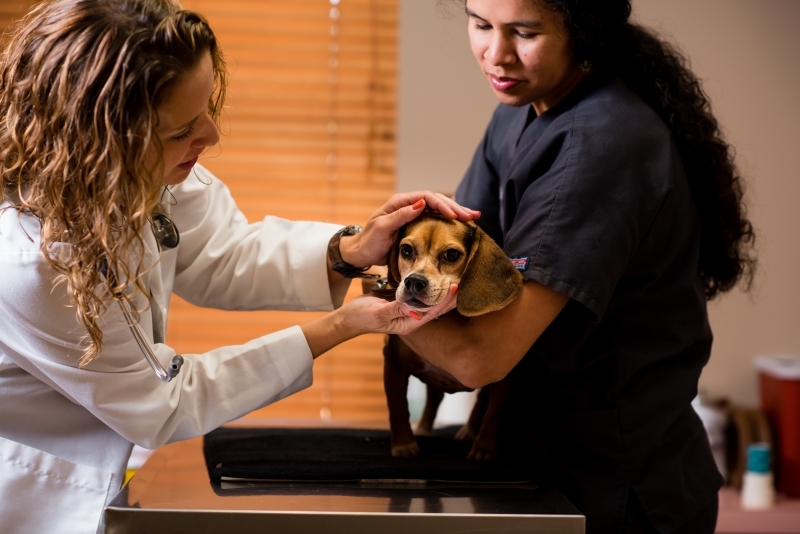 Your pet will be thoroughly examined by a veterinarian and this checkup gives us vital information to help keep your pet healthy. We believe the best way to promote overall health is through preventive care. Regular checkups allow us to establish a baseline in your pet's health and make us aware of any changes that may indicate future problems. We believe that one of the most important aspects of caring for your pet's health is vaccinating them against potential diseases. 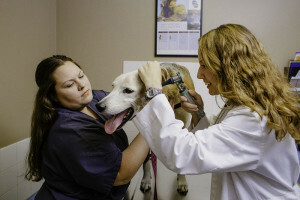 There are a variety of diseases that affect our pets and animals, so proper vaccination is vital in protecting them from the many types of illnesses they are susceptible to. Congratulations! Adding a new puppy or kitten to your family is an exciting event with many fulfilling years of special companionship ahead of you. 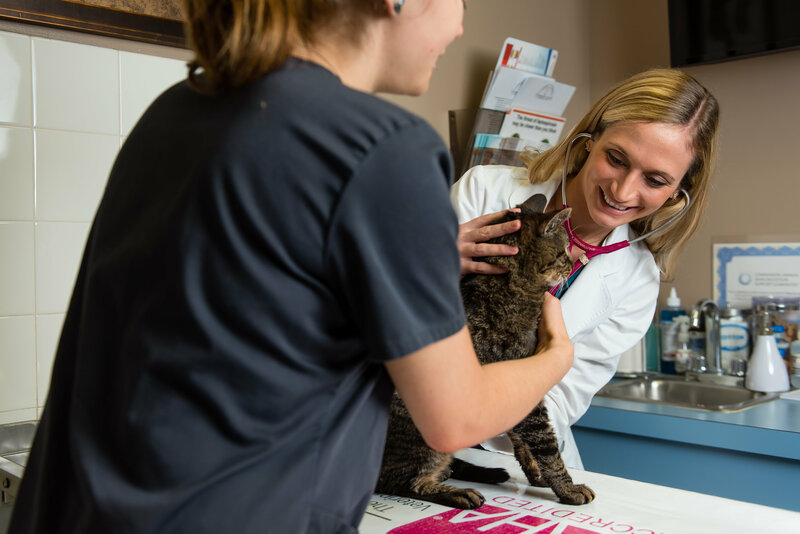 Puppies and kittens come with a lot of responsibility, though, and that's why we at Veterinary Center of Morris County, are here to help you care for the new addition to your family. 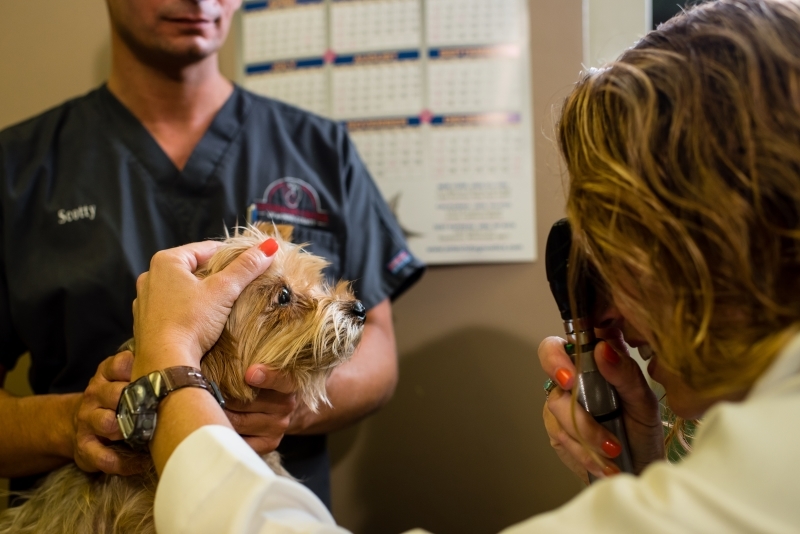 It's important to bring your puppy or kitten in for a full nose-to-tail exam, and to get them familiar with our veterinary hospital from a young age. There are numerous topics to be aware of and discuss, including vaccinations, nutrition, behavioral training, socialization, and many more. Call us today at 973-887-0522 and we can give you all the information you need to care for your puppy or kitten. We provide care for your pet through all stages of life. Since pets age faster than we do, it's easy to forget that they can be considered seniors after just seven years. And as they get older, their health needs change in unique ways that require proper consideration. Acupuncture is a treatment that involves the stimulation of points, achieved through the insertion of specialized needles into the body. Acupuncture points typically lie along the body's Meridian Channels (pathways) along which Qi (energy) flows. Herbal medicine utilizes herbal ingredients from different plants. They are used in combinations to treat particular disease patterns. Herbal formulas are administered orally in powder, tea, pill, or capsule form. Click Here to read more about our Eastern Medicine services. For your convenience, we will now be offering drop off appointments! This is one of the ways that we strive to provide the best service and care possible. Please note that we will need at least 2 hours for a drop off appointment. Please make sure all necessary forms have been filled out and received as well. We are proud to provide East Hanover, NJ and surrounding communities with state-ofthe-art veterinary surgical procedures. We believe in utilizing the highest level of medical technology, and our surgeons are experienced and highly trained. 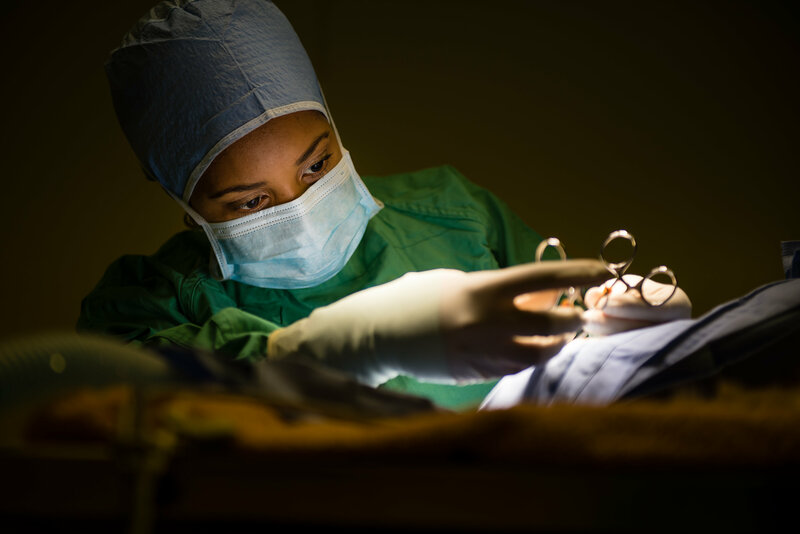 Click here for a list of the surgeries we perform. 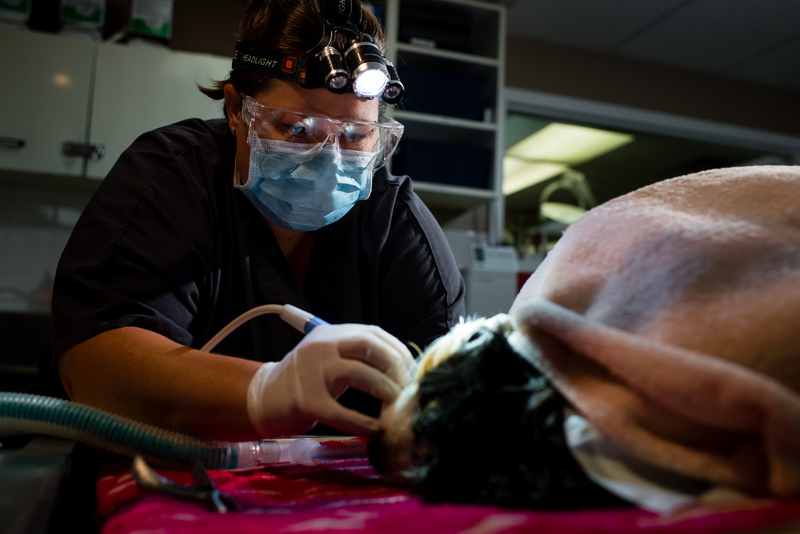 Dental care is vital to the overall health of any animal. Dental disease can lead to health issues with the heart, liver, and kidneys, and can shower the body and bloodstream with bacteria. There are a lot of different ways to improve your pet's dental hygiene, including home brushing, dental chews, dental diets and regular examinations. 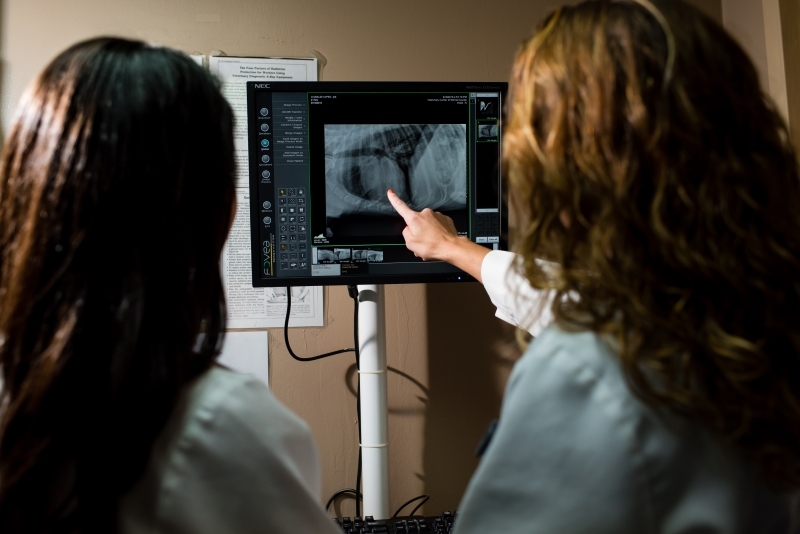 In fact, 80 percent of dogs and 70 percent of cats over three years of age suffer from some form of dental disease, making it the most common pet health issue among our pet population. If your pet has brown/yellow teeth, bad breath, or is having difficulty eating, these could all be signs of dental disease. Please call us at 973-887-0522 today to learn more and schedule your pet's dental cleaning. Click here to learn more about dental care and procedures. We are proud to be on the cutting edge of medical technology. Radiology is a technique and diagnostic tool that we use to look inside the body in a completely non-invasive way. X-rays allow us to create images of all the body's organs. The use of radiology is safe, and all of our staff are highly trained. It is our goal to provide your pet with the highest level of medical care possible, and this is just one of the many ways we achieve that. 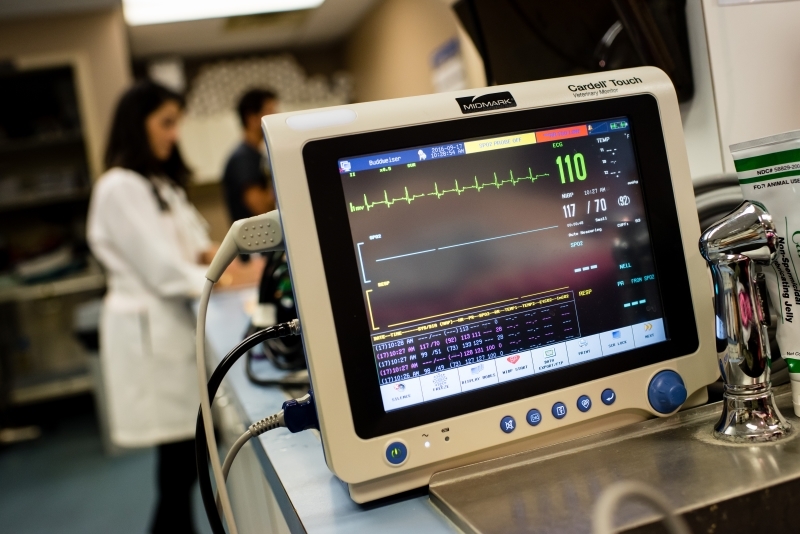 We offer state-of-the-art medical technology. One of the diagnostic tools we use is ultrasound, which creates images of the inner workings of the body. Saying goodbye to your pet can be extremely difficult. The process can be emotionally and mentally draining. We don't want you to be alone at the end stages of a pet's life, and we promise to do everything we can to make it easier on you and your pet. Most of all, we promise to treat each case with compassion and understanding care. 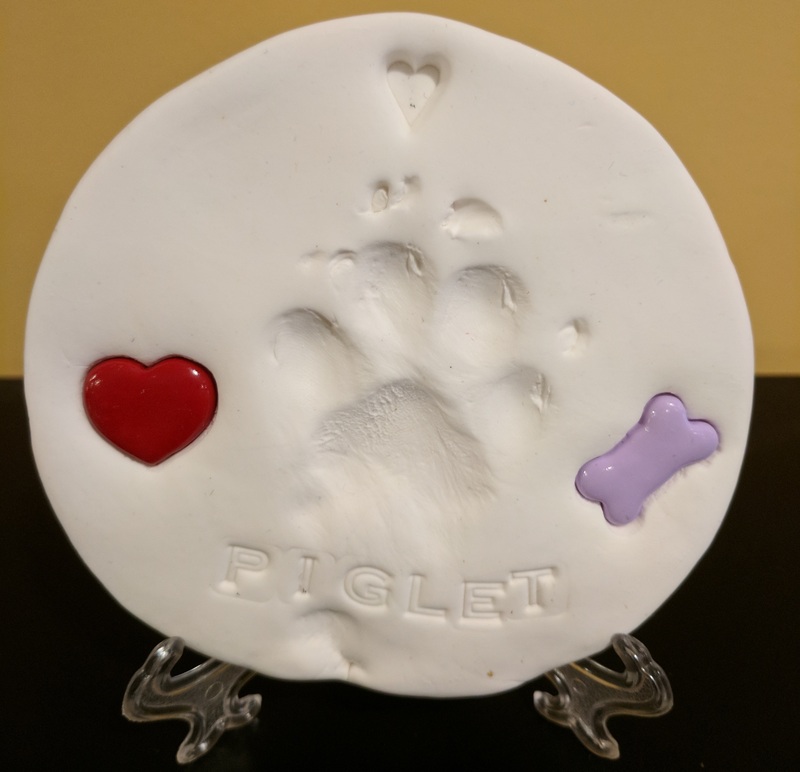 If you have recently lost a pet, leave a message or obituary on our Pet Memorials page. Please call us at 973-887-0522 if you have an emergency, and we will do our best to help you through this frightening and stressful time. Emergencies can be a terrible experience for pets and pet owners, so we promise to communicate with you and make the process less stressful. 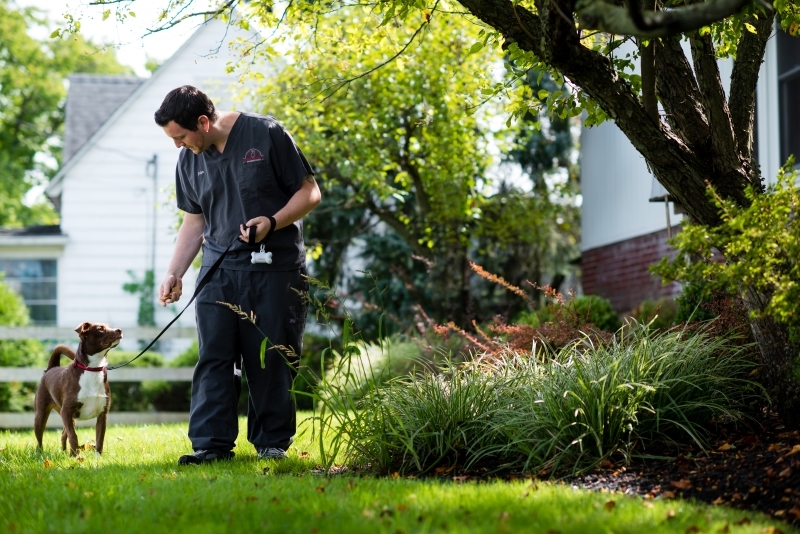 For after hours emergencies, please call the Animal Emergency and Referral Associates at 973-788-0500. Pain is a terrible thing. 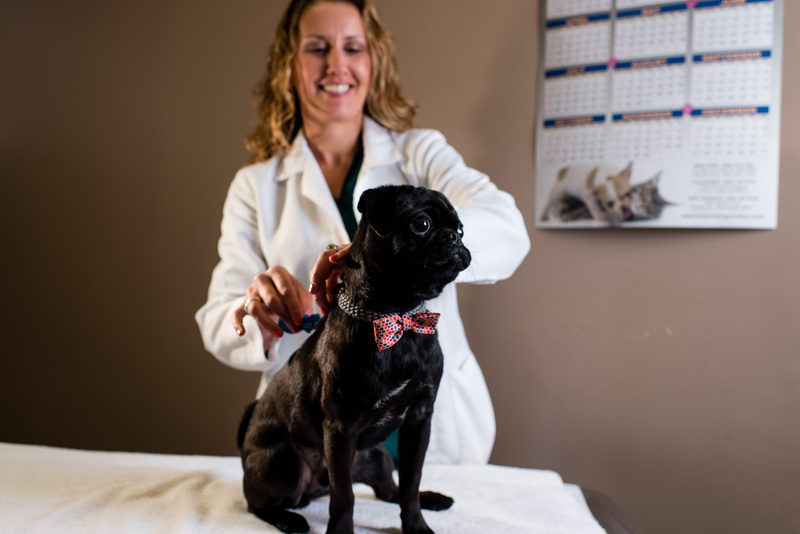 Veterinary Center of Morris County wants to alleviate as much pain and discomfort in our patients as possible. In an effort to bring you the highest quality care, we are dedicated to provide top notch pain management. When our pets are in pain, so are we. It's an awful feeling to know that your special friend is hurting, especially when there isn't anything you can do to help them. 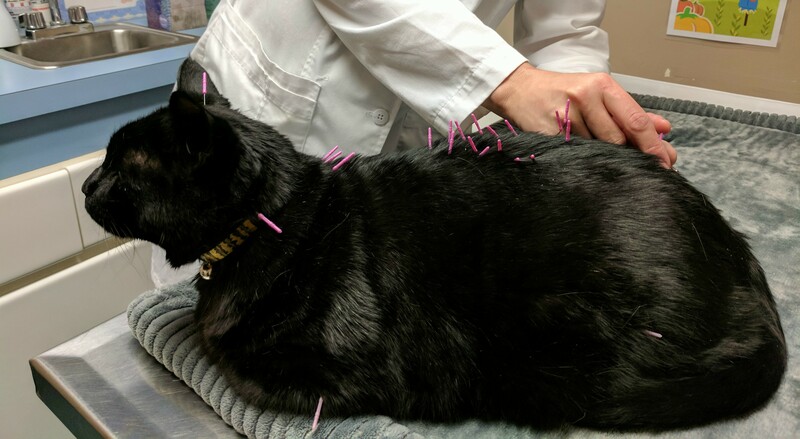 It is our goal to eliminate as much pain as possible, and to give these pets a better quality of life. We also anticipate and plan for procedures with the potential for future pain. In addition, we also work with pet owners to educate them on how to recognize signs of pain in your pet. 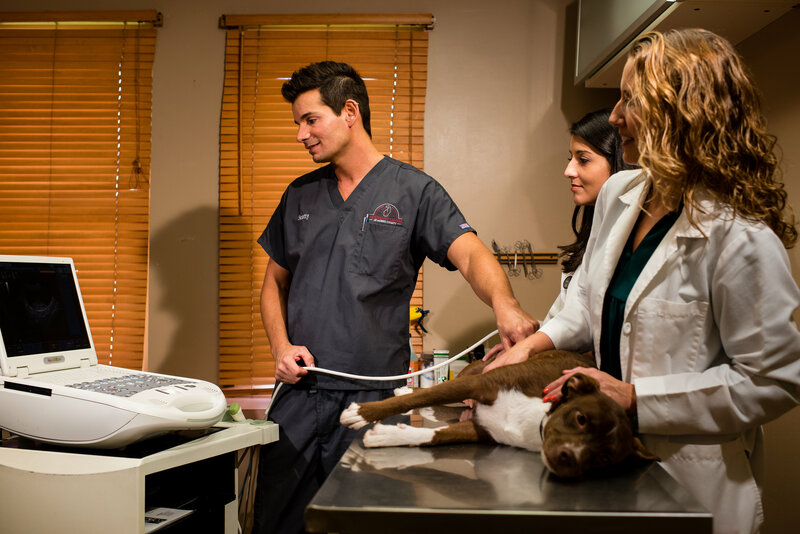 Whether your pet is rehabilitating from trauma or injury, healing from wounds, or simply aging, laser has been shown to provide relief and speed healing. 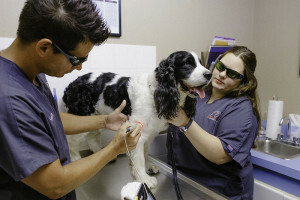 If your pet has pain, inflammation or a wound, therapeutic laser is a pain free, surgery free, drug free treatment. Therapeutic laser is used to treat a variety of soft tissue and orthopedic injuries, wounds, fractures and dermatologic conditions. 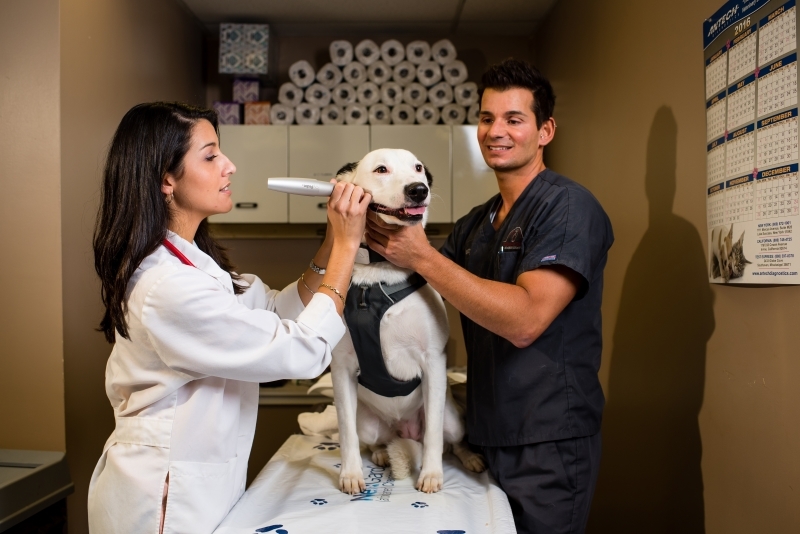 The CryoProbe™ is a great device for the treatment of lesions in animals. By pointing the CryoProbe’s™ micro-fine jet directly to the lesion, you can achieve an accurate application, to the millimeter avoiding collateral damage to adjacent healthy tissue. The patient will only experience minor discomfort. As a result, this will allow for longer treatment and a deeper freeze for more effective results. No anesthesia, little to no preoperative skin preparation or post-operative care is needed. We offer nutritional counseling for pets owners of East Hanover, NJ and surrounding communities. If you have any questions about your pet's diet, or if you would like more information about your pets nutritional needs please contact us today. We can set up a nutrition plan for your pet. A pet's nutritional needs change as they enter different stages of their lives. The best way to make sure your pet's needs are being met is to consult with us about a diet made specifically for them and their lifestyle. Please contact us if you have any questions; we would love to speak with you. We are happy to offer microchipping. Every year, thousands and thousands of pets go missing. Not knowing where your pet is or how to bring them back can be a helpless, hopeless feeling. It's a tragedy that happens all too often. But there is a simple, safe, and effective way to ensure your pet's safety and retrieval should they ever become lost. 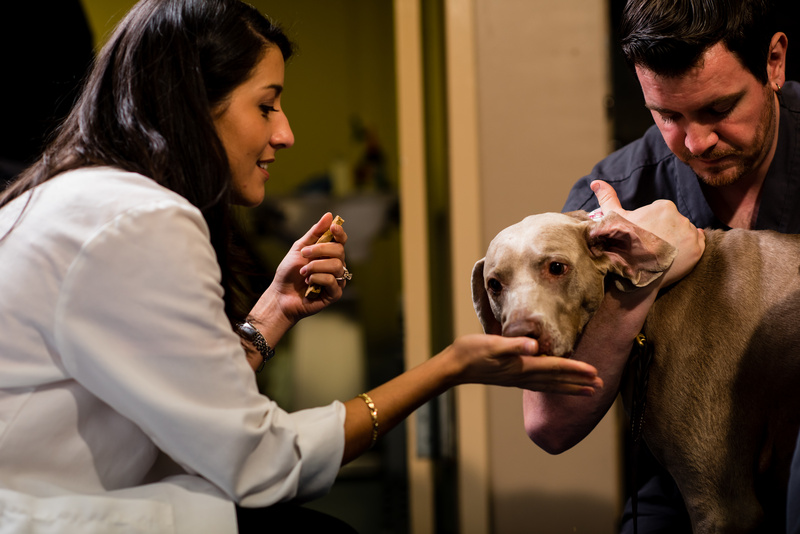 Microchipping is a standard procedure that implants a tiny chip underneath your pet's fur. It is a painless and relatively fast procedure, and is completely safe. This microchip is registered with your pet's vital information, and can be scanned by any veterinarian or animal shelter so that they can return your pet directly to you. Save yourself the heartache and stress of a lost pet. Microchips bring pets home. We practice the highest standards of care and cleanliness for patients staying with us. We know that it takes a great deal of trust to leave your pet with someone else, so we want to assure you that we are professional, highly trained, and most of all, we love pets. We have a free play area for our canine boarders, where they get some one-on-one supervised free time to play with one of our staff members! This is one of the many ways we provide the love and attention that your pets deserve! We also board cats! All cats are offered scratching posts and receive the same love and attention as our canine guests. We also offer day boarding when a short-term stay is needed. Call us at 973-887-0522 to schedule a boarding stay today. We are happy to offer grooming services so that your pet can look their best! 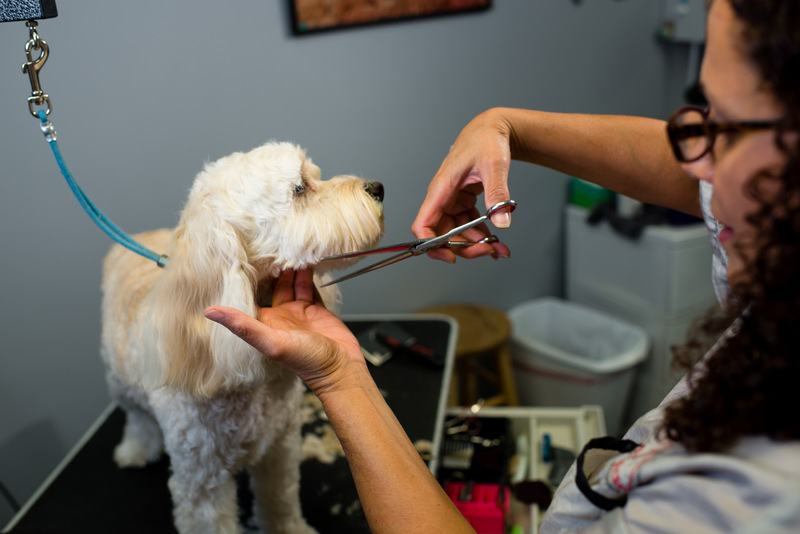 We offer grooming for a variety of breeds so please contact us today at (973) 887-3237 if you have any questions about what we can do for your pet! And yes, we do cats too! Call us at (973) 887-3237 to set up your appointment at our grooming salon. 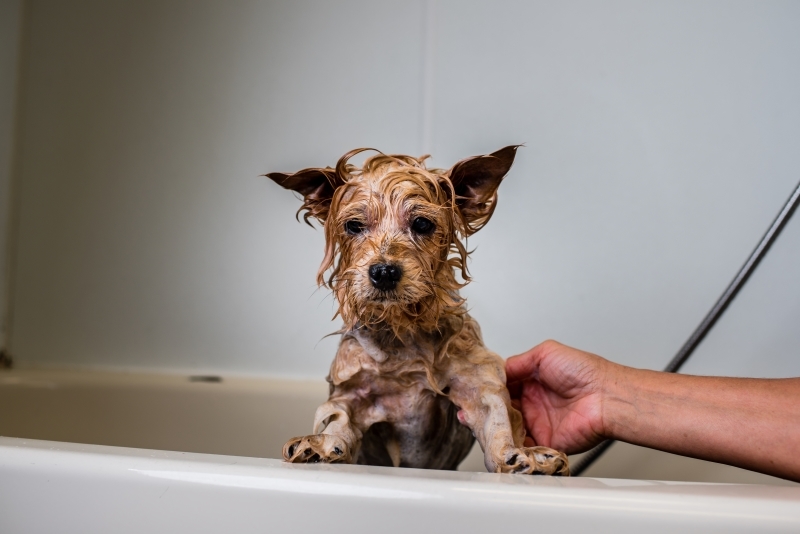 We are happy to offer bathing services so that your pet can look their best! We offer bathing for a variety of breeds so please contact us today at 973-887-0522 if you have any questions about what we can do for your pet! Call us at 973-887-0522 to set up your appointment.